Moon Chicago reveals the Windy City's perfect mix of cosmopolitan culture and Midwestern charm. With Moon Chicago's practical tips, unique experiences, and local know-how, you can plan your trip your way. Looking to experience more world-class cities? Try Moon Seattle or Moon Washington DC. 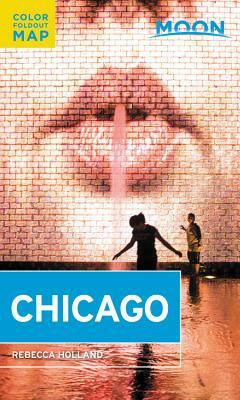 Is Chicago just the first stop on a bigger adventure? Check out Moon Route 66 Road Trip. Rebecca Holland grew up in small town Wisconsin, visiting Chicago a few weekends a year to take in museum exhibits and see the sights. As she got older, Chicago became the place to go for parties, shopping, bachelorette parties, and special occasion dining. Rebecca received her undergraduate degree in Journalism and Languages & Cultures of Asia from the University of Wisconsin, Madison, and moved to Washington, DC and then Rome, Italy. Her travels soon took her all over the globe, but Chicago was always in the back of her mind and remained her favorite city to visit. When it came time to move back to the US, there was no choice but Chicago, where she's never felt more at home. She's spent the last few years working as a full-time travel and food writer in the city, where she's always looking for new local shops, exploring every inch of every neighborhood, taking day trips, and eating more food than is probably wise. She firmly believes that Chicago is the greatest food city in the country, and loves showing visitors around. At the time of publication Rebecca was pursuing a Master's degree in Journalism from the Medill School at Northwestern University. She is a contributor to New City, the Chicago Tribune, Roads & Kingdoms, and more.